Lake Suwa is the largest lake in Nagano Prefecture. It is surrounded by many high-mountains. It is popular tourist spot for all seasons. Especially, it is very beautiful when it's frozen up completely. It is also popular Onsen spots. There are many Onsen around Lake Suwa. The famous historic site is Shuwa Grand Shrine. 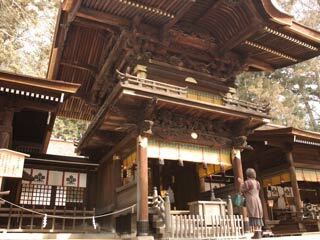 It is one of the most popular shrine and oldest shrine in Japan. Use Chuo Express Way. Exit at Suwa. Use JR Chuo Line to Shimo Suwa Station.